This image released by Focus Features shows Adam Driver, left, and John David Washington in a scene from "BlacKkKlansman." 1. 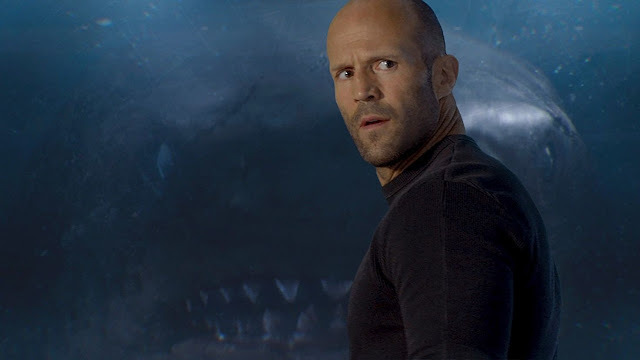 "The Meg," $44.5 million ($96.8 million international). 2. "Mission: Impossible — Fallout," $20 million. 3. "Christopher Robin," $12.4 million. 4. "Slender Man," $11.3 million. 6. "The Spy Who Dumped Me," $6.6 million. 7. "Mamma Mia! Here We Go Again," $5.8 million. 8. "The Equalizer 2," $5.5 million. 9. "Hotel Transylvania 3," $5.1 million. 10. "Ant-Man and the Wasp," $4 million.